Easily one of the most instantly recognisable voices in house music of the last 25 years, Kathy Brown’s tracks are up there in the house music hall of fame, ‘Strings Of Life’ with Soul Central and ‘Turn Me Out’ with Praxis being all-time classic tracks. Kathy has a long and prolific history with Defected, who first released ‘You Give Good Love’ in 2002. This jumping new mix from DnA Studios appears on the upcoming ‘Glitterbox - Love Injection’ album compiled by Simon Dunmore (more info on the album on Monday). 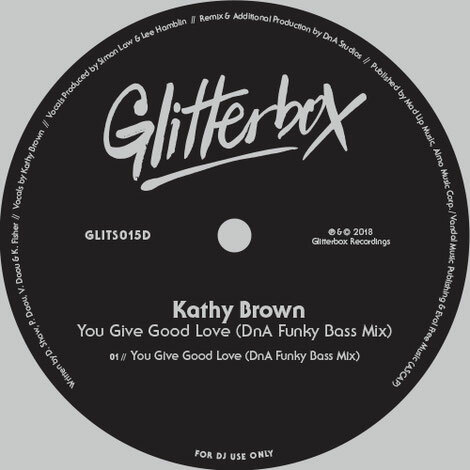 Fulfilling Glitterbox’s ethos for celebrating timeless musical moments, the compilation includes respectful nods to the golden-era voices like Kathy’s, this disco standard being one of the clear highlights. Look out for it, it’s out 9 February.